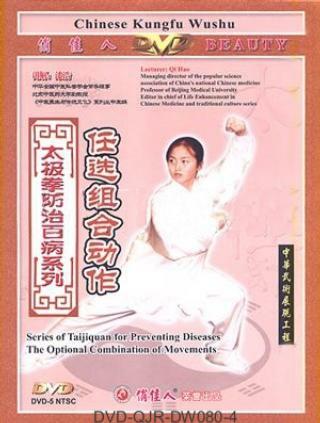 Some of the characteristics of Taiji Quan for life enhancement are its options, flexibility and changeability. So after you have mastered the optional set patterns, he should understand the optional composed set patterns of Taiji Quan for keeping health. This lecture indicates that once mastered the fundamental principles of curing illnesses and the important methods of health-leading, coordinating with thought and breath, health-keeping fans could compose optional set patterns according to their experience and practice, to treat various illnesses flexibly. Twenty optional set patterns this lecture introduces, are not only enlightened but also efficient. With standard demonstration and repeated explanation.